We had a lovely chat with Bristol based food blogger With Mustard, she asked the questions, we did our best to answer them, for plenty more on cooking and eating in Bristol and beyond we'd wholeheartedly recommend her site. 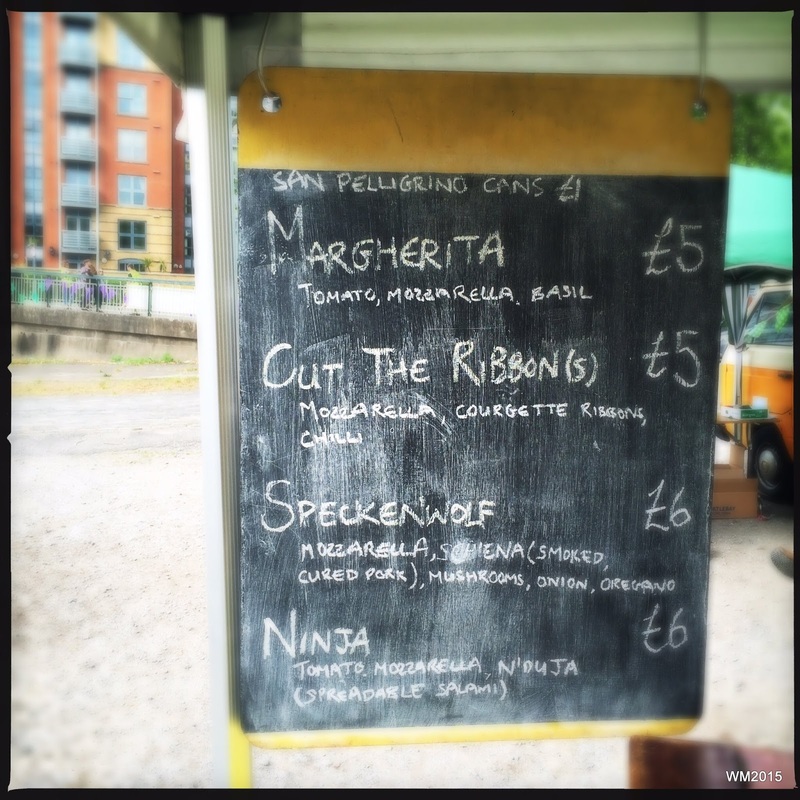 Pizza, in the last eighteen months, has made quite a resurgence in Bristol. For the most part, these new establishments are independents, sourcing ingredients locally where they can and making fresh dough on site. Whilst some aim to recreate a taste of Napoli, others are eschewing traditional ingredients to encapsulate flavours from the Southwest. One of the most striking to arrive, is Bertha's, run by Graham and Kate Faragher. 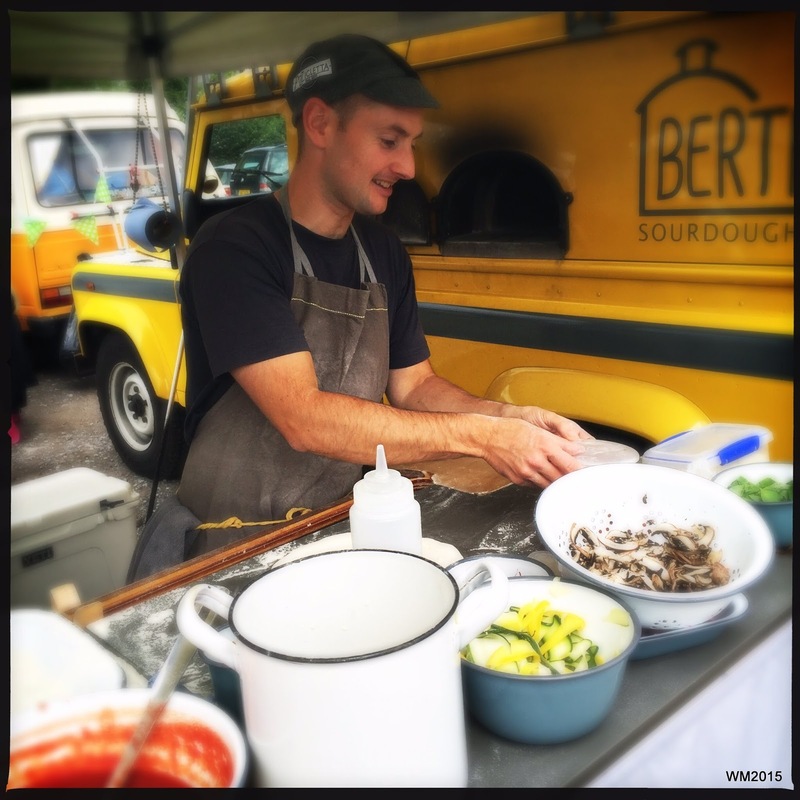 From their sunflower yellow Land Rover, converted to carry a hefty wood fire oven, they make some of the best sourdough pizzas in town: Graham usually working the tricksy dough, whilst Kate deftly plucks pizzas from the mouth of the roaring oven. I caught up with Graham to ask him a few questions. Seems I'm not the only one to find the thought of a fire above your petrol tank vaguely terrifying! 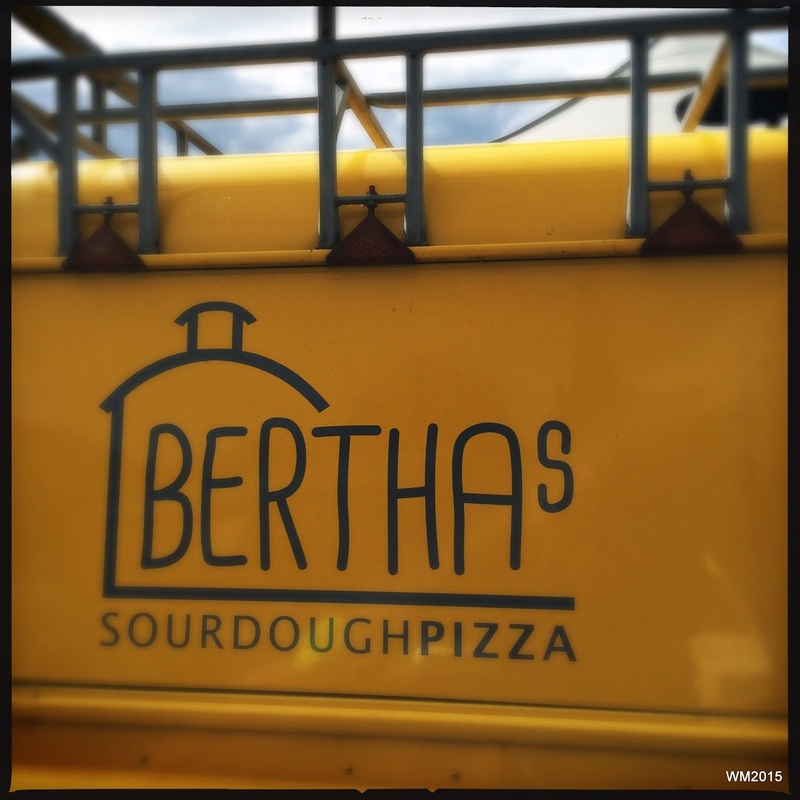 WM: How did Bertha's begin? GF: In our back garden with a Sheffield steel brick lined oven called Bertha. We were looking for a change of direction, a route out of London. A vocation, not a chore. 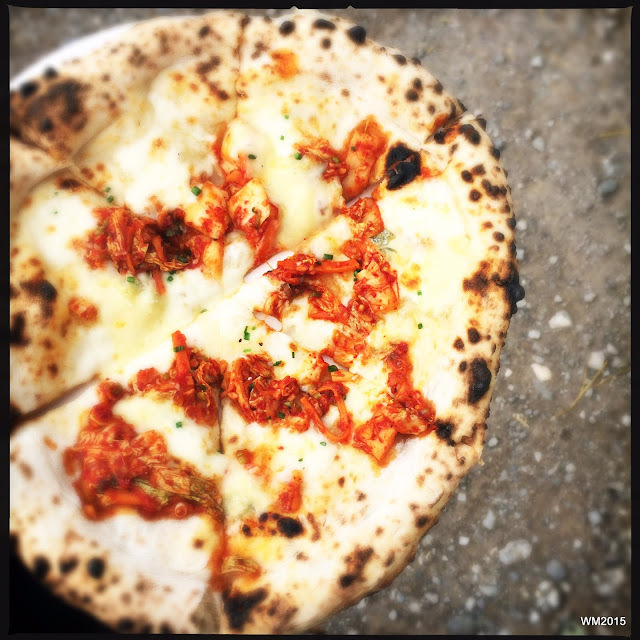 We sat there sharing the food we'd cooked with friends and the answer stared back at us -pizza. WM: What was it that drew you to Bristol? GF: We believe in local food and we believe in Bristol for what it stands for -supporting independent producers and we want to be part of this. Great pizza is simple; good ingredients on good bread. Our job is to team up with the best local producers and showcase their produce. Bristol is the best hub for tapping into all the amazing produce coming out of the Southwest -so here we are. There also happens to be great climbing, cycling and surfing on the doorstep. 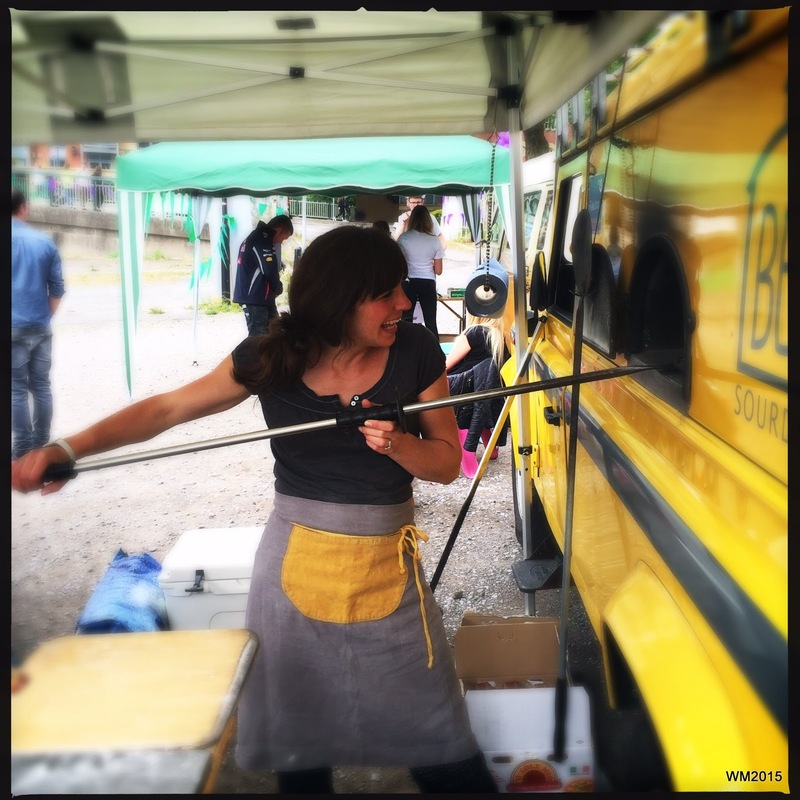 WM: Your yellow Land Rover is fast becoming iconic on the Bristol street food scene. Was it quite an undertaking to modify? GF: Yes. It's half a tonne of oven. We were originally considering vintage vehicles such as Morris Minor postal vans but after several cycle tours of the area, we knew it'd never get up the hills. She's ex Darlington Borough Council highway maintenance; under the grey stripe, there's still a red reflective strip. The oven had to be built within the vehicle itself, it's too big to be loaded straight through the back. It had to be cured over a couple of weeks, gradually building larger fires and yes, it massively freaks you out lighting a fire inside your new car. Over the drying process you lose 100kg of water and get a very soggy dashboard. WM: You did a lot of research before you started out. Where did you eat the best pizza? GF: Probably somewhere in the US. I'm going to stick my neck out and say Pizzicletta, a tiny neighbourhood pizzeria in Flagstaff Arizona. The same place I flew 5000 miles to work in during my holidays in my old job and, exactly the kind of place we'd like to run in Bristol. WM: What elements did you take with you? GF: An obsession with the dough, in fact I had that already but they drilled it home. They use a much wetter dough and longer ferments than you see this side of the Atlantic, and at first it was an absolute shocker trying to work it. In the US they're also far less hung up on the Neapolitan 'rulebook' of toppings; the best places just look at what's fresh at the markets and build a topping around it. WM: Sourdough has a slow ferment and is trickier to handle, why did you decide to use it for your bases? GF: It tastes better. Granted there are lots of health benefits, the longer ferments in particular make it much easier to digest. It also gives a softer crumb and it's flavour that dominates most decisions at Bertha's HQ. 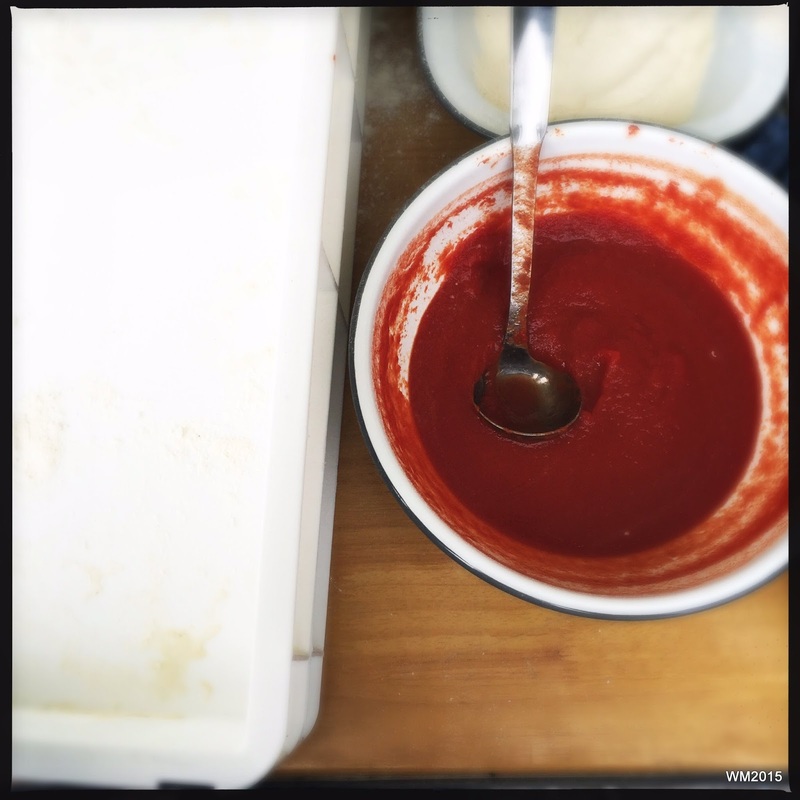 WM: What's the secret to a good tomato sauce? GF: Good tomatoes -that's it really. Lots of pizzerias get hung up on San Marzano tomatoes, tinned and shipped over from Naples. We tried loads of different varieties and there are some really good ones but we've not found any to match those we sourced from the Isle of Wight. We use an organic tomato grower with a passion for heritage varieties. It was hard work to build up the volumes we require -in the early days we'd have to call ahead of each event, place the order on Monday, they'd be picked on Tuesday, sent over on Wednesday and at the market on Thursday: like a foodies Craig David. Our secret tomato sauce recipe, which I'll reveal exclusively here is, the best tomatoes you can find and sea salt. 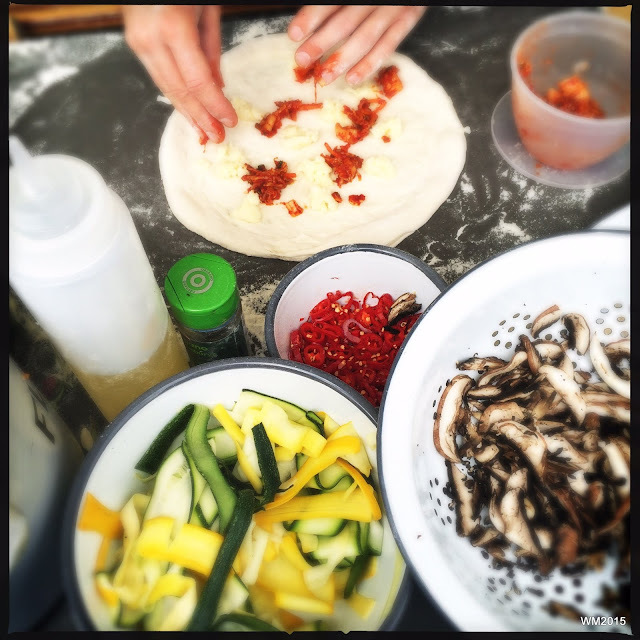 WM:You often use seasonal and foraged ingredients -what makes a great topping combination? GF: Balance -less is often more. We spend a lot of time trying to pair ingredients which tick off each of the senses and have just the right moisture content, as no one likes a soggy bottom. 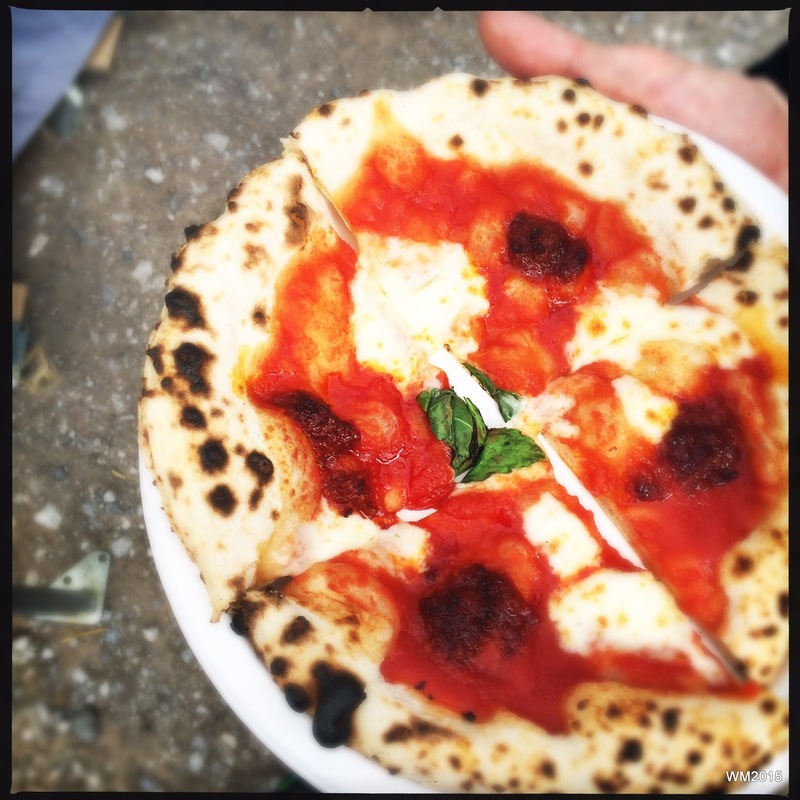 There's a reason a Margherita is a classic; the umami bomb of the tomato and parmesan; the richness of the mozzarella balanced by the acidity in the tomatoes and the flecks of char across the crust providing bitterness to offset the sweetness. We look for similar layers of flavouring in whatever is seasonal. WM: With street food you are out in all weathers -have you considered finding a permanent location and premises? GF: We're trying! We've been looking for what seems like ages, but it's tough. Rest assured you'll be the first to know when we find somewhere and send any recommendations our way if you see a space in your neighbourhood. WM: Finally, what have been the highs and lows of your journey so far? GF: We wear our heart on our sleeve when it comes to our food. This is our passion. You'll never please everyone and we struggle not to take any differences of opinion personally. It's also incredibly physical, back breaking work with 500kg log deliveries and oversized bags of flour. It's all worth it though when you get a customer coming back, grinning from ear to ear, mozzarella still stuck to their chin, raving about the food you've just made with your hands. We use more flour than most households. Should we launch a restaurant it won’t have happened overnight. We’ll have kneaded several tonnes of dough before bricks and mortar was ever a possibility. Rather than put the bags out with the recycling we started collecting a sack here and there. I counted them today and there’re 26. 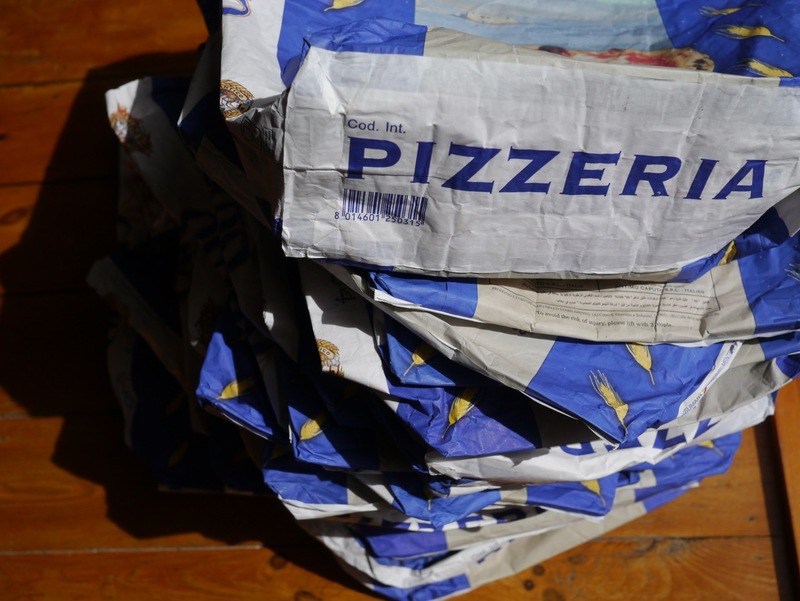 Over half a tonne’s worth stashed away in a cupboard. If all goes to plan we’ll decorate a section of the wall with them. Wallpaper with meaning. These bags have taken us through some of the steepest sections of our learning curve. But may we never stop improving.